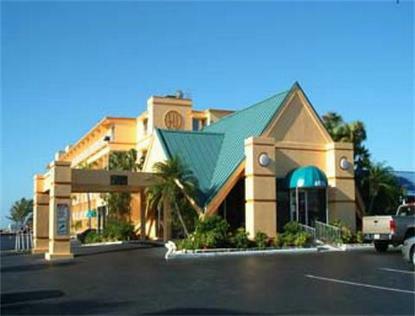 The Howard Johnson Resort Hotel of St. Pete Beach offers the following:* On the Gulf of Mexico, Beachfront* 5 Stories, 133 Rooms with Elevators* Interior Corridors and Balconies* All Rooms Feature 2 Queen Beds or King* Conveniently Located to Attractions, Restaurants and Nightlife* Ricky T's Restaurant on Property open breakfast, lunch and dinner* Outdoor Heated Pool and Kiddie Pool with Beach Bar and al fresco dining* Watersports Available on the Beach* Shuffleboard Courts on Property* Free Wireless High Speed Internet* in all Rooms and Public Areas * NOTE: Must be 25 Years or Older to Register. * Sorry, No Pets. Non Smoking Facility with* Smoking Permitted only on Room Balconies.